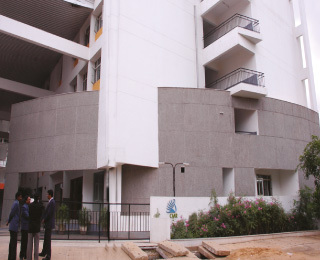 CMR campuses are at prime city locations and feature state-of-the-art facilities. CMR Group of Institutions gives every student a chance at an outstanding, values-based and well-rounded education. Learn about courses offered at CMR Institute of Technology. CMR University nurtures creative thinkers who drive positive global change. Learn about courses offered at CMR University. Learn about the University's unique Education Engagement Model. 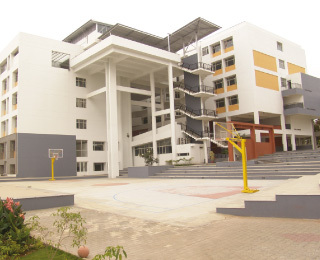 Ekya Schools have four beautiful campuses across Bangalore. 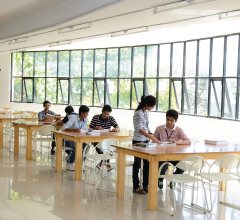 Ekya Schools enable students to think, learn and do. 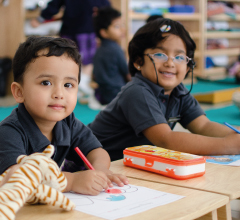 Learn more about the teaching methodology at Ekya Schools. 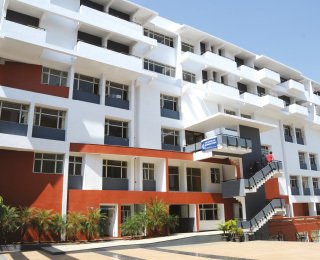 CMR Group of Institutions, CMR University and Ekya Schools offer a wide range of courses from the Montessori level, K-12 Schools to Post Graduate and PhD programmes. Areas of study include engineering, education, law, management, architecture, journalism, biosciences, business administration, psychology, and research. The CMR Group comprises numerous institutes of learning at the school and higher education levels, various centres of excellence in training, research and consultancy, as well as a host of academic departments. Learn more about the history of CMR Group of Institutions. In its first year, the school had only six kindergarten students who studied in a modest school building located in the CMR family orchard. Today, the CMR Group of Institutions is a Bangalore-based educational conglomerate that comprises a number of institutes of higher education, Montessori / K-12 schools, various centres of excellence in training, research and consultancy as well as a host of academic departments. Over 18,000 students including international students from more than 58 countries study within CMR’s portals of learning. Nearly 1000 highly qualified faculty and staff work at CMR. 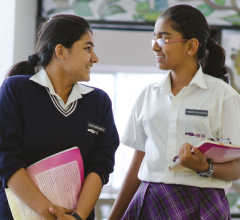 The CMR Jnanadhara Trust was established in 1991 to deliver the highest quality of education to one and all. With this view, the CMR educational institutes were founded, to give every student a chance at an outstanding, value-based and well-rounded education. All are invited to browse through our website to explore the abundant academic opportunities at CMR. Come visit us at our schools and colleges campuses to learn and truly experience what CMR has to offer. M.Tech | Computer Networking & Engg. 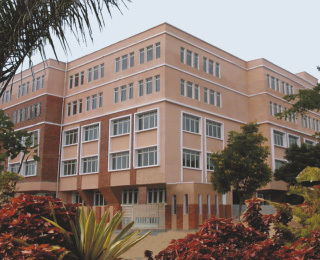 M.Tech | Computer Science & Engg. M.Tech | Digital Communication & Engg. We’ve provided you multiple ways of finding an Academic Programme of your choice. Choose from one of the options above – By Institute, By Academic Level, By Discipline; or go to ‘View all Courses’ to see a complete listing of all courses offered. Architecture is both a discipline and profession. 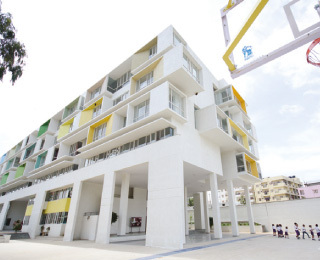 It plays a key role in shaping the built environment. Through the use of technology, architecture enables the creation of functional spaces that provide for people’s needs. Bachelor of Commerce program prepares students with required competencies in the field of Accounting and Finance. The programme-structure is designed to meet emerging industry requirements nationally and internationally. 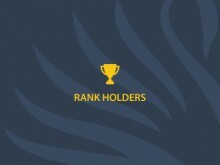 In addition to regular B.Com. curriculum, this programme offers opportunity for students to deepen their knowledge and enhance skills through extra credits. The programme is specially designed with focus on inter-disciplinary learning requirements. The programme integrates curriculum prescribed by Association of Chartered Certified Accountants (ACCA), UK. Upon completion of this programme, students have an opportunity to complete International ACCA Examination. Students also get exemption of 6 Fundamental Papers while appearing for ACCA Certification Examination. The programme integrates curriculum prescribed by Chartered Institute of Management Accountants (CIMA), UK. Upon completion of this programme, students have an opportunity to earn CIMA Certification. Programme offers a unique opportunity for students to develop career in Risk and Management Accounting globally. M.Com is designed to prepare students for emerging industry requirements in India and abroad. Programme offers learning opportunity in the field of Accounting, Finance, Banking, Taxation, and related areas. Programme also focuses on developing students’ entrepreneurial potential through unique pedagogy and action-learning approach. The Electronics and Communication Engineering programme train the students in Mathematics, Physics, Electronics and Communication Systems to design fabricate maintain, supervise and manufacture electronic equipment used for entertainment, computing, communication,vehicles and defence. This undergraduate program links mechanical sciences to manufacturing engineering and maintenance of mechanical systems to advance the world around us, whilst enabling students to apply engineering science, experiential learning, project based learning and research experiences to real world problem solving. Civil Engineering is one of the core engineering branches which broadly includes the different streams of structural, geotechnical, transportation, hydraulics and environmental engineering. To bridge the gap between curriculum and industry the department organizes lectures from eminent industry experts. Artificial Intelligence focuses primarily on development and understanding of intelligent computational processes for the benefit of both creating artificial beings and improving the understanding of human intelligence. Students will also have option to discover some functional domains such as computer vision, natural language processing, software analysis and robotics. Computer Science and Engineering with data-science as specialization programme focuses on the fundamental areas of data science such as algorithms, machine learning, data visualization, data management, and societal implications of data science. Bachelor of Business Administration (BBA) Programme nurtures students as professional with strong foundational knowledge and skills in management. Through contemporary coursework involving practical applications, students will learn to effectively solve the complex management problems with ‘Think Global, Act Local’ perspective. The students have option to specialize in specific disciplines. Bachelor of Business Administration (BBA) Programme nurtures students as professional with strong foundational knowledge and skills in management. Through contemporary coursework involving practical applications, students will learn to effectively solve the complex management problems with ‘Think Global, Act Local’ perspective. The objective of the Master of Business Administration (MBA) course is to nurture and train future managers who are ready to take up business challenges globally. The emphasis of our management education is on developing learning managers who adapt to the contemporary environment. When visions need to be realized in a fast moving world, there needs to be an understanding of the dynamics of doing business, of a multicultural society and the algorithm of change. Your vision will add value to the always changing landscape of any business environment, there is no doubt about it. The Programme is aimed at middle and senior level executives working in the industry/organizations with an emphasis on product development. The students in this Programme represent various domains in the industry such as information technology, insurance, banking, healthcare IT, Telecommunication, Logistics etc. The Programme is suitable for working executives who are interested to enhance their skills in the area of product development. Game development is a growing branch of Computer Science and Graphics. Games are being consumed all across the world, and India is quickly catching up. Mobile applications are equally widely in use everywhere, and are now indispensable in their ability to make modern phones smart. Films have become a very important part of our lives. Films are a combination of entertainment, glamour, art, visuals, new ideas, emotionality, drama, action and what not. The film industry is also growing very rapidly. The B.Sc. Film Making course includes comprehensive theoretical and practical of all aspects of Film Making; starting from concept development and script writing to creating dramatics, cinematography and editing. The film and media industry is evolving at a rapid pace. Technology has given creative individuals power to create their artistic idea. This course helps the students to understand the base & fundamentals behind this technology. The program has been designed in such a way that students not only learn the specialization but also the common courses which will expand their knowledge in Film Making, VFX & Animation & Photography. The program of School of Science Studies and Animation of CMR University gives students the experience of being in the full animation and VFX production pipeline. If you are an aspiring visual effects artist, 2D or 3D animator, or storyboard artist, you will learn from industry professionals in the heart of the animation industry. The B.A., LL.B. (Hons.) integrated double-degree course combines a Bachelors’ degree course in Arts/Humanities with a Bachelors’ degree course in law. Each academic year is divided into two semesters. While each semester consists of 18 weeks, the duration of the course shall be five of academic years consisting of 10 semesters. The course has an integrated BBA degree, which provides the bonus of combining business and law into a degree which provides students with the required tools to apply their legal knowledge within a business context. The course primarily focuses on transforming students into efficient practitioners of Law. The course aims to impart quality education and trains students with an expertise in innovative teaching practices and testing patterns. The Centre for Post Graduate Legal Studies (CPGLS), has been established to impart quality legal education at the Post Graduate level. The Centre is committed to providing meaningful education including all-round development the student, through a wide range of academic, co-curricular and extra-curricular activities, which reaches far beyond the conventional classroom experience. This course is designed to provide a forum for practitioners and scholars who are interested in dealing with the international legal aspects of air and space law and focus on the study and practice of air and space law, aviation policy, and the civil, commercial, administrative and criminal aspects of air and space law. IP law course provides an in-depth knowledge in all areas of Intellectual Property law like trademarks, patent, copyrights etc. Besides the traditional fields, it is also necessary that astudent learns some courses covering Pharmaceutical, IT, Mechanical, Chemical and Biotechnology Patent Practice so that, he gains advanced knowledge of the issues that can rise in this field. The BA (Hons) degree aims to provide a strong foundation of theory and practice in specific fields; that will enable students to translate their university experience to the world of work. Special emphasis is laid on the development of critical thinking, analytical ability, written and oral presentation skills. This programme provides a thorough theoretical grounding and research-driven training relevant to clinical psychology. The programme is designed in view of the advances in Clinical Psychology, a discipline addressing behavioural and mental health issues including intellectual, emotional, psychological, social and behavioural maladjustments. Programme seeks to deliver a thorough and holistic understanding of psychological functioning at the individual and social levels. This course prepares students for applications of psychological knowledge in organizations / industries. This course is interdisciplinary in nature and is offered to those students who wish to achieve professional expertise in the management of human and social sides of work organizations. The programme familiarizes students with social work practice and social welfare services. Students learn to work with different groups in identifying common social issues and applying an action-driven solution to these issues. Students also study concepts/ theories related human behaviour both at individual as well as at group/community level. The PhD programme aims to equip the research scholar with the necessary skills of a qualified researcher – that is, a scientist who is able to conduct responsible and independent research as per the principles of good research practice. The Ph.D. programme aims to equip the research scholar with the skills expected of a qualified researcher. It attempts to groom students into scientists who are able to conduct good, independent research responsibly and ethically. 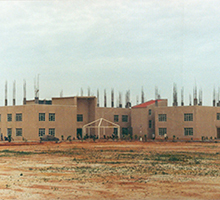 Permanently Affiliated to the Karnataka State Law University and recognized by the Bar Council of India, the B.A., LL.B. integrated double degree course combines Bachelors’ in Arts together with the Bachelors’ in law. Permanently Affiliated to the Karnataka State Law University and recognized by the Bar Council of India, the B.B.A., LL.B. is an integrated double degree course that combines the Bachelors’ in Administration / Management with a Bachelors’ in law. Permanently Affiliated to the Karnataka State Law University and recognized by the Bar Council of India, the LL.B course is for students who have already acquired an undergraduate degree. The English Language Enhancement Preparatory Programme (ELEPP) follows the Cambridge University curriculum and is offered at five levels. It is intended for international students who wish to enhance their English language skills, develop fluency and a strong general language competency. ELEPP may either be taken as an independent course or prior to pursuing a full-time academic degree program at the CMR Group of Institutions. Students will be placed at the appropriate level based on a proficiency test conducted at entry level, before commencement of training. The English Language Immersion Programme (ELIP), offered at CMR, enhances the students’ abilities to read, write, speak and comprehend the English language, thereby equipping them to exchange ideas and opinions, express emotions, and present information. All books and study material used in the course are recommended by Cambridge and Oxford Universities. Through the use of such high-quality curriculum, students are able to gain the relevant language skills for success in future higher English language courses. The Bachelor of Business Administration degree helps students go a long way in achieving a promising career. The program structure and syllabus is designed to reflect the praxis of the modern world. Much emphasis is given to the holistic development of students through training in soft skills and life skills, as well as involvement in various co-curricular and extra-curricular activities. Bachelor of Commerce (B.Com) is designed to provide the student with a wide range of managerial skills, whilst building competence in this particular area of business studies. The program structure and syllabus reflects the praxis of the modern world. Much emphasis is given to the holistic development of students through training in soft skills and life skills, as well as involvement in various co-curricular and extra-curricular activities. Students will develop their abilities in the critical and practical understanding of Information Technology. Upon completion of this course, they will be ready to serve the IT industry in various roles such as System Analyst, System Designer, Programmer, Database Administrator, Web Developer, Software Test Engineer and Network Engineer. This course also provides a solid foundation for those students who are keen on pursuing higher studies. The program is unique in that it offers a triple major combination; it gives students a broad foundation in the life sciences with a special emphasis on multi-discipline streams. Project work related to life sciences is incorporated to instill an attitude towards research in students. The program also lays emphasis on the role of science in environment and society. Following this course, career opportunities are limitless, and could potentially include employment in research institutions, pharmaceutical firms, food & chemical industry and public services (IFS, KAS, KPS, IAS IPS). Master of Commerce (M.Com) is designed to provide the student with a wide range of managerial skills, whilst building competence in this particular area of business studies. The program structure and syllabus reflects the praxis of the modern world. Much emphasis is given to the holistic development of students through training in soft skills and life skills, as well as involvement in various co-curricular and extra-curricular activities. The MCA program focuses on providing a sound theoretical background as well as good practical exposure to students in the relevant areas. It is intended to provide a modern, industry-oriented education in applied computer science. It aims at producing trained professionals who can successfully meet the demands of the IT industry. Bioscience is a branch of life sciences. With the increase in the world’s population, there is an ever-increasing demand for resources to satisfy human needs. The bioscience program imparts an in-depth understanding of the core principles and methodologies underlying current biotechnological research to make innovations in the field of product development for the cure of diseases, to ensure safe and abundant food and water and to contribute to the creation of sources of new fuels. The world as we know it is full of conflicts and strife, and the study of psychology can help us reach out to society as a whole to sustain the positive psychological and emotional well-being of individuals. The Masters Program in Psychology includes specialisations in both clinical and industrial disciplines. This course is an amalgamation of theory and practical papers that cover a comprehensive syllabus. Students will also participate in internships to gain real-world experience. They will work alongside mental health professionals, human resources, or training manager as per their subject specialisations. Civil Engineering is one of the oldest branches of engineering that applies physics and scientific knowledge of applied sciences to provide solutions for a better living environment. This is a vast field that offers specialization in the fields of structures, water resources, soil mechanics, environmental studies, transportation etc. It aims to train students to obtain a complete understanding of the behaviour of nature with the advent of structures. Computer Science & Engineering introduces students to algorithm design and implementation in modern, high-level, programming languages. It emphasizes problem-solving by abstraction. A computer scientist specializes in the theory of computation and the design of computational systems. Electrical and Electronics typically deals with the study and application of electricity, electronics, and electromagnetism. 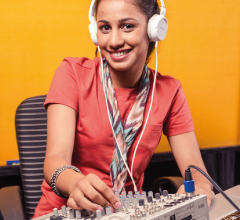 Students will study the various sub-fields of the discipline including electronics, digital computers, power engineering, telecommunications, control systems, RF engineering, and Signal Processing. Course coverage can be broadly classified as Power systems, Electronics, Programming, Circuits and Systems, Measurement and Instrumentation and Machines & Drives. Electronic and Communications Engineering addresses practical problems in the field of communications through a rigorous application of mathematics and science. Engineers in this field engage in the research, design, development and testing of electronic equipment used in various communications systems. Students study topics such as wireless, digital, data and fiber optic communications. Information Science is an inter-disciplinary field focused on cognitive science, commerce, communication and management. The strength of an IS engineer lies in his/her ability to apply the knowledge of information systems and technology to help organizations compete more successfully in the marketplace. This field deals with the analysis, classification, manipulation, storage, retrieval and dissemination of information. Mechanical Engineering derives its existence from the need to design and manufacture everything from small individual parts and devices to large systems. It prepares students to take a product from an idea and design it for functionality, aesthetics, and the ability to withstand the forces and the thermal environment that it will be subjected to. Students learn to determine the best way to manufacture these products ensuring that they operate without failure. The course also imparts competency for success in both engineering and entrepreneurial careers, as well as further studies and careers in research. Telecommunications is an exciting and varied field with applications in satellites, next generation mobile phone, air traffic control, the Internet and much more. Telecommunications Engineers are creative problem solvers, who continually exercise their analytical abilities. In this field, you will study antenna theory, digital communication, information theory and coding, microwaves, Digital Signal Processing (DSP) and its architecture. In addition, you will be introduced to microcontroller applications, analog communication and microprocessors. M.Tech Computer Networks & Engineering provides a structured environment for a critical understanding of relevant, modern theories in networking technologies and its applications.Computer Network engineers are concerned with the study of different kinds of networks such as MANETs, Adhoc N/w, Wireless Sensor Networks etc. Networking, system study, analysis, design and programming are the main areas in which Computer Network Engineering graduates can carve out a career for themselves. The curriculum allows for theoretical and hands-on exposure to the areas of Operating Systems, DBMS, Advanced Algorithms, Computer Networks,Storage Area Networks, Big Data etc. Students will learn various computer system technologies and will apply mathematical skills, algorithmic principles, knowledge of cloud computing, big data and computer science theory in the modeling and design of computer based systems. With the growth in this industry, job prospects for computer engineers have been increasing, and opportunities abound in the areas of system study, analysis, design and programming. Digital Electronics aims at providing in-depth knowledge of various subjects of present day interest to students with a background in Electronics and Telecommunication background. Students will learn the concepts of Advanced Digital Communication, Modern Digital Signal Processing, Advanced Embedded Systems, Antenna Theory and Design, Digital Electronics, Error Control and Coding, Advanced Computer Architecture, and a course on Linear Algebra. Elective courses such as CMOS VLSI Design, Wireless & Mobile Networks, Advances in VSLI design, Real Time Operating Systems are also offered. The VLSI program will focus on the development of hands-on skills in designing semiconductor devices and circuits, architecting systems using embedded components such as CPU, memory and peripherals. Students will learn several topics that cut across different domains, starting from the lowest level of physical devices to the top level of application development. Topics such as CMOS VLSI Design, SOC Design, Advanced Embedded Systems, VLSI Design and Verification, Design of Analog and Mixed-Mode VLSI circuits, Real- Time OS, Advanced Microcontrollers, Low-Power VLSI Design and more are covered in this course. This programme encourages young scholars to become innovative problem-solvers and thinkers capable of tackling real-world challenges in the field of management. It promotes research in the areas of Accounting, Finance, Economics, Information Systems, Marketing, Operations Management, Organisational Behaviour and Strategy. This programme is designed to promote research in a wide range of areas including Solid State Chemistry, Photo Catalysis, Advanced Electronic Materials, Coordination Chemistry, Organic Synthesis, Biosensors, Environmental Chemistry and Nanomaterials. 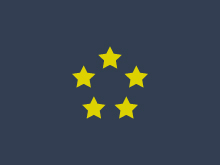 The programme promotes research in the field of computer applications. Students will direct their efforts towards generating innovative ideas to advance state-of-the-art technologies. They will build real-life,workable solutions that ultimately beneft industry, and society in turn. Scholars with raw talent and intellect are nurtured to become well-educated researchers and future leaders in the field of Computer Science. This programme is designed for those interested in pursuing research in the field of Electrical & Electronics. It aims to promote viable solutions to problems in the areas of energy sensors, power electronics, wireless networks, power systems etc. This programme is designed for those interested in pursuing research in the field of Electronics and Communication Engineering. Students conduct research in the areas of VLSI, Embedded Systems and Digital Signal Processing (DSP). This programme is designed to promote research in the areas of Graph Theory, Linear Algebra, Finite Automata and Fluid Mechanics. This programme is designed to promote research in diverse areas such as Nuclear Physics, Semiconductor Physics and Astrophysics. The school follows the Karnataka Secondary Education Examination Board (KSEEB) state board syllabus, upgraded as per National Curriculum Frame (NCF) published by NCERT. English is the first language, Kannada is offered as second language and Hindi is the third language as per the three-language formula. The term kindergarten was coined by Friedrich Fröbel whose approach greatly influenced early years education around the world. A kindergarten literally – children’s garden is a preschool educational approach that advocates freedom, play and joyful learning. 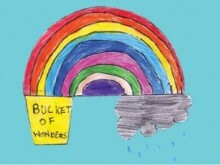 It focuses on self-expression and involves self-activity, creativity and social participation. Education is imparted through playing, singing, practical activities such as drawing, writing and social interaction. Montessori is an educational approach developed by Italian physician and educator Dr. Maria Montessori. It lays emphasis on independence, freedom within limits, and respect for a child’s natural psychological, physical, and social development. It is a “discovery” model, wherein students learn concepts from working with materials, rather than by direct instruction. Uninterrupted work time, specialized educational materials and freedom of movement and choice of activity within the classroom are some of the key features. 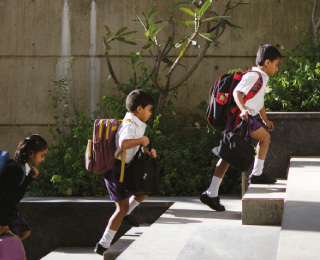 CBSE curriculum aims at nurturing responsible citizens with a sense of patriotism and a global perspective. It helps learners explore their innate capacity and talents as well as develop their potential and enhance sustainability of their living environment. Evaluation is continuous and comprehensive and covers both the scholastic and co-scholastic aspects of the students’ growth and development. Confidence building, leadership, moral growth and goal setting are taught through life skill classes. Students are prepared right from grade I to take the board examination at the end of Grade X and XII. 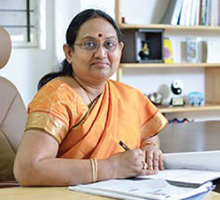 CMRNPU is affiliated to the Karnataka PU Board and offers a two-year pre-degree program in Science and Commerce. An Executive MBA program designed specifically for technology leaders who wish to develop strategic capabilities and competencies that enable them to contribute higher order value with their global stakeholders in the productizing process. The course is industry-relevant, experiential, application-oriented and offers students the opportunity to engage in an Integrated Industry Immersion Project. The programme conforms to AICTE & UGC Regulations. Learn more about CMR Institute of Technology. Learn more about CMR University School of Legal Studies. Learn more about CMR Institute of Management Studies. Learn more about CMR Centre for Business Studies. Learn more about CMR University. Learn more about NPS International, Singapore. Learn more about Ekya School, ITPL. 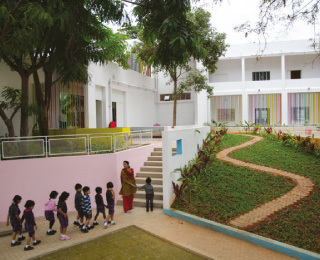 Learn more about Ekya School, JP Nagar. 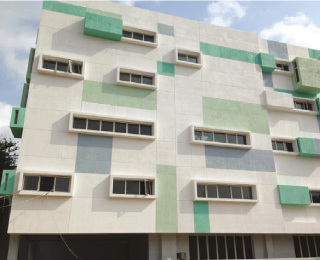 Learn more about Ekya School, Kanakapura Road. Learn more about CMR National Public School. 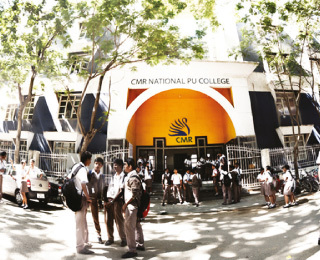 Learn more about CMR National PU College. Copyright © 2015, CMR Jnanadhara Trust. All Rights Reserved.